Multilatinas’ growth over the past three decades is unquestionable. Globalisation and internationalisation of these companies have proved decisive for their expansion, whether that’s been achieved organically or through acquisitions. The question is whether these boards are prepared to consolidate such growth and make the results sustainable. Internationalisation has variants to consider; among other aspects are the income received from foreign buyers, the hiring of international talent and the financial leverage of international investors. On the one hand, the internationalisation that has brought benefits and forced boards to adapt their organisations, presents an undeniable challenge. That is to establish geopolitical issues that will impact businesses as a priority in the strategy and the risk map. Changes in key markets, such as the UK and Brexit; Spain with a legislature that has begun after 300 days without a government; the US with a new government that seems to lean towards protectionism; Colombia and the peace negotiations with FARC and ELN; and Peru with a new president, will all compel nominations committees to seek talent in their boards that is prepared to rethink the business model if necessary an approach that only a diverse board can undertake. On the other side, emerging issues, such as digitalisation, anti-trust regulations and anti-money laundering compliance programmes, must be on top of the agendas for these governing bodies. Not that these challenges are exclusive to Latin America, but even though major issues have been raised in the past years in key countries specifically in the Pacific alliance are still encountering difficulties in opening the boardroom and bringing in fresh skills and backgrounds. The lack of depth of the financial markets and the ownership structure of major groups in Latam has given regulators a major role in enhancing sound corporate governance. A little pressure from stakeholders, such as institutional investors, can be effective when free float of companies is very limited. 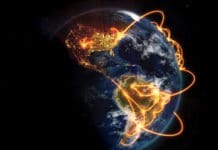 However, just the fact that some proxy advisors have some of the countries in the loop is a sign that companies are entering the big leagues and investors are watching over boards’ conduct. One indicator of how boards stand in terms of disclosure, composition and dynamics in Latam, is how some proxy advisors have recommended voting in the major Latin-American markets in the past few years. In a brief investigation conducted a few years ago, for the 2013 and 2014 FYs for Chile, Peru, Colombia, Mexico and Brazil, it was interesting to see how these agents issued recommendations on directors elections. From the analysis of 254 candidates that were up for election, re-election or ratification in 2014, 38 of them received a negative recommendation, while in 2013 out the 165 candidates analysed, 50 had an against recommendation. According to a study of Fernando Lefort, the largest shareholder in non-financial listed companies has an average of 55 per cent of shares, while the top five shareholders account for 80 per cent of total shares. Though we have witnessed some democratisation following significant pressure from the pension funds on the reforms, Chile like other countries still has a very concentrated ownership structure. In 2009, and the following years, the regulator issued a series of legislation acts that enhanced the principle of comply or explain. Towards the end of 2012, the SVS issued General Standard No. 341 (NCG 341) that establishes a mechanism for the dissemination of information regarding standards of corporate governance adopted by listed companies. This aims to provide to different stakeholders comparative information on all areas, especially related to a board s dynamics, relationship between the company, shareholders and the general public, as well as the compensation and control environment. 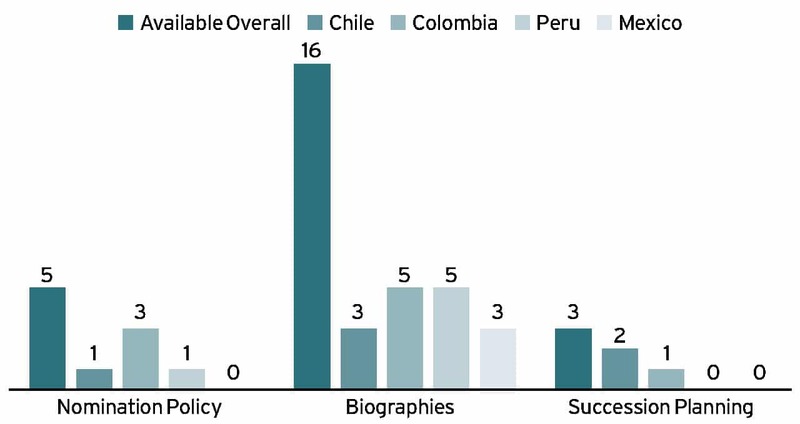 In terms of recommendations from proxy advisors in Chile, the investigation covered 16 companies.In 2014, 84 per cent of directors received a favourable recommendation and 16 per cent an against recommendations, while in 2013 the percentage was very different 15 per cent for and 85 per cent against. We took a look at the level of disclosure of key board indicators of the current five most important listed companies, according to the 500 Ranking Las Mayores Empresas de Chile (Copec, Codelco, Cencosud, Enersis and Enap). Exploring these companies from an array of sectors, we can see good quality in terms of disclosure of remuneration and the issues that have been discussed during a board s key sessions, which is rare even for some continental European countries. However, we found it hard to find basic information, such as the committees of the board, and were surprised to see how the mandatory committee of directors in some companies overtake the functions of what an audit or a nominations committee must do, given the fact that the background of directors in these committees should be, at least ideally, very different. According to a study, in the majority of companies, the four largest shareholders have more than 51 per cent of their economic rights. In addition, there is a trend towards an increasing concentration of corporate ownership. Though this has changed a little bit in the past decade, four major groups mainly control the Colombian corporate sector. Major breaks on self-regulation promoted by Confecamaras in the early 2000s with the support of CIPE and the supervisory body started to enhance the governance framework in the country. Resolution 275 of 2001, abolished by External Circular 028 of 2007, as amended by External Circular 056 where major stakeholders embraced the country code, established the obligation to adopt a code of good governance for those issuers aiming to receive financial support from pension funds. We should take into account that before the code came into force, the issuances of stock market law 964 of 2005, included provisions that specifically targeted the composition of the board, i.e. have at least 25 per cent of independent directors, the possibility to eliminate alternate directors and appoint an audit committee. But the breakthrough enhancing disclosure came on boards practices with the adoption of the comply-explain mechanism in 2007 where companies have to disclose the level of compliance on the recommendations of the country code. The code was revised in 2014. In terms of recommendations from proxy advisors in Colombia, the investigation covered 16 companies.6 In 2014, 72 per cent of directors received a favourable recommendation and 28 per cent an against recommendation, while in 2013 the percentage was slightly different, with 75 per cent for and 25 per cent against. Companies often do not give enough information about the names or background of the candidates to be elected to the board of directors, which is something that has been changing significantly over the past two years, although not enough. However, most companies disclose the full or an executive summary of board evaluation, which is something that even in some countries in Europe is still a pending issue. We looked at the level of disclosure on a boards key indicators of the current five most important listed companies according to the BVL (Colombian Stock Exchange), and the information on top market capitalisation. In the case of Peru, we analysed the ownership structure of the Peruvian companies available through a study that was carried out on 180 companies listed on the Lima Stock Exchange, where 22 were excluded due to the lack of information, including Southern Peru Copper Corporation. Among these, 135 out of 168 companies have controlling shareholders. Most of them show shareholders with a high concentration of ownership: 66 companies have controlling shareholders with more than 75 per cent of the voting rights (39.29 per cent of the total listed companies). In 2012, the regulator set up a committee for updating principles of good governance for 14 institutions from the public and private sectors. This committee was led by the superintendent of the securities market and in 2013 Peru had a new governance code. One of the key issues that has allowed markets and investors to know more about board practices is the steps on the comply-or-explain legislation of the government of Peru. In June 2014, the regulator approved the new report on Compliance with the Code of Good Corporate Governance for Peruvian Companies, which seeks to ensure that issuers disclose through annual reports and prospectuses the extent they have adopted the recommendations. In terms of recommendations from proxy advisors in Peru, the investigation covered 11 companies. In 2014, 90 per cent of directors received a favourable recommendation and 10 per cent against recommendations, while in 2013 only two received against recommendations. One of the great advantages of Peru is the possibility of submitting to the approval of the shareholders the individual names of both the representatives of the management and representatives of the minorities in the head of pension funds. According to certain studies, Mexican companies have a concentrated ownership and, on average, families own 44 per cent. Another empirical study indicates in this respect that the controlling shareholders of listed companies own, on average, 65.8 per cent of the share capital. In 2000, the National Banking and Securities Commission of Mexico issued the circular 11-29, through which issuers of securities must disclose on a regular basis the degree of adherence to the Code of Best Corporate Practices. In 2008, some of the recommendations of the Code were incorporated into the Commissions legal framework. The Stock Market Act was reformed in January 2014 and additionally companies must comply with new provisions enacted by the National Banking and Securities Commission, responsible for monitoring the compliance with corporate governance provisions. However, it s very difficult to find among the largest group of companies, comparable information in their websites stakeholders often need to consult the Mexican Stock Exchange website. In terms of recommendations from proxy advisors in Mexico, the investigation covered 31 companies. In 2014, 87 per cent of directors received a favourable recommendation and 13 per cent against recommendations, while in 2013, 45 per cent received a favourable recommendation while 24.5 per cent received an against one. Though we are witnessing a significant wave of IPOs in these markets, the concentration of ownership is challenging boards to open up to new talent and embrace an objective nomination process of directors in order to enhance diverse boards, especially when it comes to backgrounds, emerging skills and geographical expertise. Even if the companies have adopted such policies they remain shy to fully disclosing them to the market. Succession planning and digitalisation, even though these are both critical for strategy purposes and mitigating risks, seem to remain on a reactive agenda of the boards. Though most of the annual reports made some reference to digital strategy, only one company out of the 20 has created an official committee among directors to undertake the challenges and responsibilities. Due to regulation, but also the self-awareness of the importance of strengthening the control environment, audit and risk committees appear to be on the top of the radar of the companies we studied. See below graphic on the most common committees among the boards of the companies we have studied. According to their annual reports, big companies seem to be aware of the emerging opportunities and risks they are facing. However, there seems to be a contradictory fact: while four of the company regions studied had embraced short terms in office, most of the directors (unless they are deemed independent) have remained for a long time in the company, especially in Mexico. The fact that very few companies allow investors to have a deeper knowledge on the nomination process or policy seems discouraging. It also seems that nominations committees are not fully rendering their duties when it comes to identifying the need of backgrounds and refreshment in the boardroom or they perceived to disclose such policies as risky business when it should not be like that at all. Only Colombian companies have outranked the rest of their peers in other markets in this regard. We are clearly advancing in the disclosure of the background of directors in big companies, especially in Colombia and Peru due to the efforts of the supervisor and the private sector. It’s also made clear from the effort that the companies in these countries have put into improving their websites and sharing more information about board practices. Ninety per cent of the companies disclosed the remuneration of the board the level of disclosure varies but we consider this as an advance. 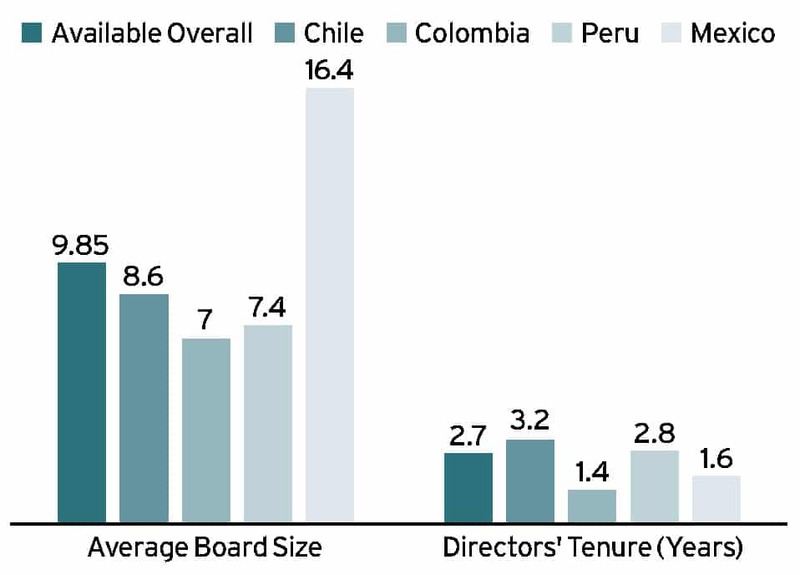 In terms of the size of the boards, we see that companies choose to remain with a reasonable number of directors. When it comes to Mexico, we see that big companies have many board members, compared to their peers in other countries. 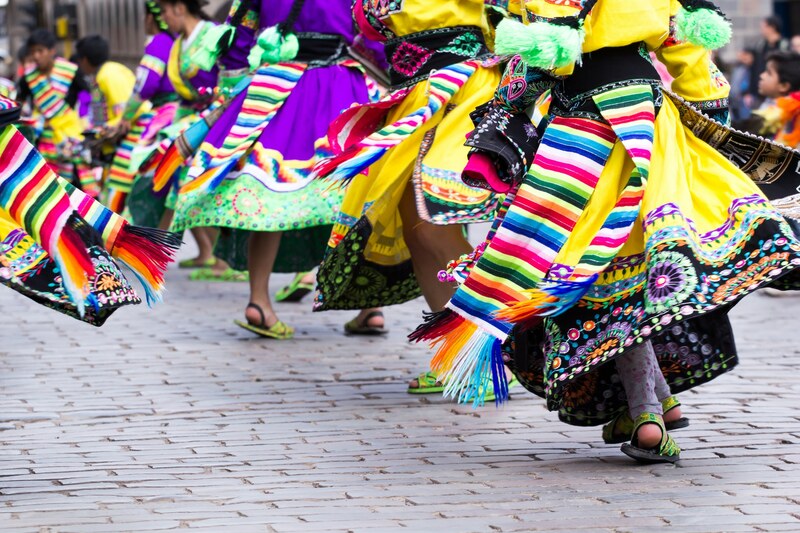 In relation to a directors tenure, we recognise that Latin America appears to embrace the option of shareholders evaluating performance more often that some continental European countries. We learn that Colombia and Peru often have annual elections or biannual elections. When it comes to Mexico, we were not able to establish the term of office for two of the companies, although in two cases many directors have been in consecutive terms for 20 years or more most likely due to their executive position or the controlling stake they have in the company. What procedures or policies are in place for preparing for the appointment of key decision-makers? (We are not able to know the succession planning methodology for many of the analysed companies.) Are management appraisals for executive directors taking place? Are they hiring executive search firms to conduct market mapping or even help nominations committees to develop director profiles that are needed on the table? To what extent has the evaluation of the board risen to this task? What are boards doing to take account of the need for emerging skills?. With the challenges companies are facing, what steps are the board taking to include a new set of directors with the necessary backgrounds, such as digital, governance and geopolitical? We have certainly come a long way, but without robust free float on Latam markets, companies must be aware of the importance of enhancing their nomination policy and succession planning. Diversity in the broad sense of the word is needed to face this new era we are entering. Ms. Gutierrez Velandia has over sixteen years of market leading expertise in working with a wide range of clients and key stakeholders in the areas of corporate governance, board services, shareholder engagement, and public affairs across Latin America, US, MENA and Central Europe. Moreover, she has extensive experience in emerging markets, where she has led board assessments, due diligences and corporate governance advisory projects for listed and privately owned entities. Ms. Gutierrez Velandia participated actively in the Free Trade Area of the Americas negotiations between the US Government and Colombia. 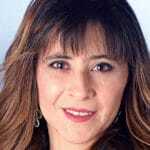 Earlier in her career, Ms. Gutierrez Velandia led and developed the corporate governance units and departments for the Colombian Confederation of Chambers of Commerce and for a corporate consulting firm from Spain. Prior to joining Pedersen & Partners, Ms. Gutierrez Velandia served as Spain & Latin America Director for Georgeson, a world leader in shareholder services and proxy solicitation. At Georgeson, she established the company’s regional strategy to develop corporate governance advisory services for top-level publicly listed corporations and investors. Ms. Gutierrez Velandia is a renowned author of research papers in the fields of corporate governance, board evaluation, shareholder engagement and governance risk management published in international and national journals and magazines. Ms. Gutierrez Velandia holds a Law degree from Colegio Mayor de Nuestra Señora del Rosario from Bogota. She has completed the “Women & Leadership to lead women to Boards of Directors” course at the Aliter Escuela Internacional de Negocios and the “Leadership Program on Corporate Governance and Director Training” offered by the Institute for Corporate Governance at Yale University and the World Bank. She is a visiting Professor at IE and at ESADE in Spain. 1GutiÈrrez VelandÌa, Paola. Los Gatekeepers y su papel en el Gobierno Corporativo Iberoamericano. Auditores, Proxy Advisors, Bancos de InversiÛn, Agencias de Rating. Georgeson & PwC Chapter 12. Revista del IIMV. , Banco InteramÈricano del Desarrollo, Departamento de InvestigaciÛn, Working Paper #568, p·g 10, 2007. 9Alicorp S.A.A., Banco de CrÈdito del Per, BBVA Banco Continental S.A., Cementos Pacasmayo S.A.A., CompaÒÌa Minera Milpo S.A.A., Ferreycorp S.A.A., Grana Y Montero SAA, Refi – nerÌa La Pampilla S.A.A Relapa, Sociedad Minera Cerro Verde SA, UniÛn Andina de Cementos S.A.A. 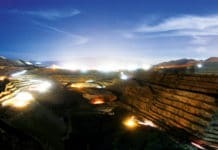 (UNACEM) y Volcan CompaÒÌa Minera S.A.A. , CapÌtulo VIII, op. cit., p·g 303. Citando a Board Index, Eggers, 2007. Previous articleWhat makes a first-class training programme?